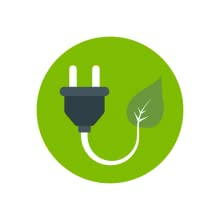 Active power waste occurs when the TV is left on and no one is watching it, whereas standby power waste is energy consumed by AV electronic equipment even after you turn them off.​​ The AV Advanced PowerStrip Plus reduces active power waste by switching off the TV when not in use and cuts standby power waste by removing supplied power to peripheral electronic equipment. Featuring a highly-accurate sensor, the AV Advanced PowerStrip Plus detects remote control signals and motion in the room to determine whether the TV is being used. If no remote control activity or motion is detected within the countdown timer period, the AV Advanced PowerStrip Plus automatically powers down the TV and AV peripheral electronics plugged into the switched outlets, saving you money and energy. 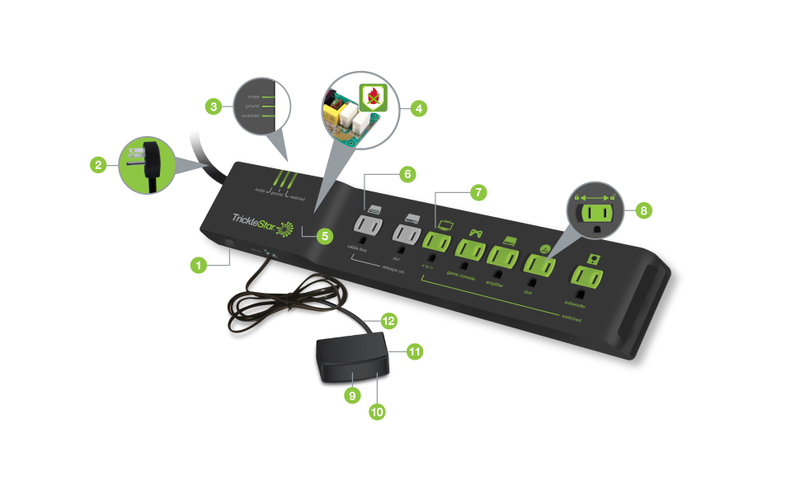 Designed to save energy by reducing active and standby power waste in audiovisual (AV) home entertainment systems, the AV Advanced PowerStrip Plus monitors remote control activity and motion to determine device usage, and it automatically switches off the TV and AV peripheral electronics when left on and not in use. A highly-accurate multi-sensor that connects to the power strip detects IR remote control signals and motion from the moment you power on your television. 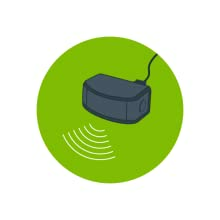 If you leave the TV on, the sensor will detect a lapse in remote control activity and user presence (motion). 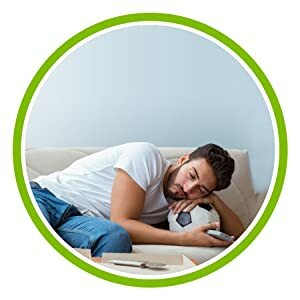 When no activity is detected within the countdown period (configurable to 1 or 2 hours), the TV and AV peripheral electronics automatically power down, saving you money and energy. 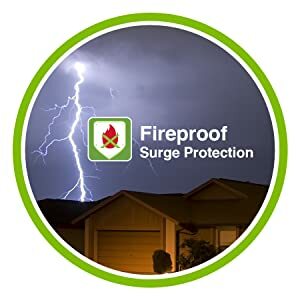 TrickleStar’s surge protector products incorporate advanced surge protection technology with ceramic-encased Metal Oxide Varistors that suppress more energy and dissipate heat faster than traditional surge protection products. The ceramic casing is fireproof and therefore capable of preventing fire during abnormal surge conditions. This energy-savvy surge protector reduces power waste by automatically switching off the TV and AV peripheral electronics when not in use. 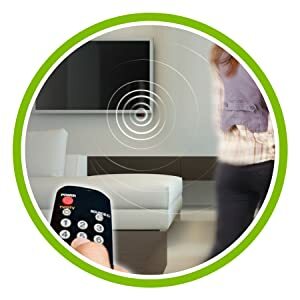 The connected multi-sensor detects IR remote control signals and motion to accurately determine whether the TV and AV electronics are being used. 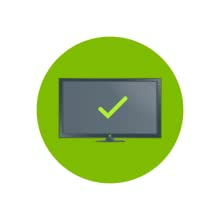 Advanced power measurement and auto-threshold detection ensure compatibility with all types of televisions. have a fridge in my garage and in the summer it can struggle to keep cool and like many all-fridge or all-freezers it doesn’t have a fan on the coils outside; it relies solely on passive cooling. With this power strip I’m able to aim a small fan at the back of the fridge and it only comes on when the compressor is running. At the default sensitivity setting (and with may other similar strips) just opening the door and the light coming on would turn the fan on. With this strip I was able to set the sensitivity to low/less sensitive so you can open the door and the fan doesn’t come on – it only comes on with the compressor which is what I really want. With the fan the run time on the fridge is dramatically reduce which saves me money on power and should help it last a lot longer too! I don’t like writing reviews because it’s not fair to write a review without testing things out for a while before saying something good or bad. I bought two and have used them for about five months now. So far they work as expected and have seen my bill drop a bit, not enough to pay the mortgage but a few dollars a month is still worth it. So far they have already paid for themselves. I set both up in the living room, my tv is the master and the bluray, home theater, subwoofer are all slaves (the strip is set to the lowest setting). my roku and the router are on the always on. the other one is connected to the living room pc as master and the scanner, printer as slaves. and the modem, and obi202 as always on. At night the standby led’s are now off making the living room darker and the light pollution doesn’t go upstairs anymore. the only ones that are lit up are the modem and router and I haven’t found a way to cover them up without completely blocking me from easily seeing the light codes they give off. 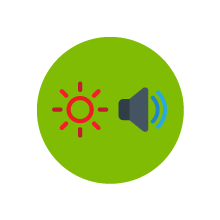 This also has definitely helped turn things off when left on, for example the home theater and printers are constantly forgotten and now pressing the power button on the tv or shut down command on the pc and we know that everything goes down, not everything will power itself back up though. it depends on the design. the Home Theater and printer will stay off but the powered subwoofer and bluray will turn themselves back on once they have power flowing through the strip. right now I am considering buying at least one more for the garage where I have an old pc I use as a radio (mp3, CD, online radio streamer) connected to an old amplifier, tape, CD, LP, cassette players. where everything is leeching power even if off all day and night, even though the amp has switched power plugs in the back. So far though I like this powerstrip, with only two issues. 1. not enough always on plugs, 2. the plugs are way too close together, some things have brick power adapters and they can take up to two plugs. I can’t say that buying a more expensive one will address these issues as it seems that every strip is basically designed the same. This is the best value automatic shutoff power strip I’ve ever used. The only negative is the limited number of controlled outlets. It seems like there is more than enough space to add at least one more. If the one on the end were oriented 90 degrees for the wall wart style transformer heads, that would have been even nicer. I do not understand why there is so much space between the AC inlet cord and the first power outlet. The indicator lights are nice so that you know it is being powered. I have purchased two so far and will probably buy yet another one. however, I would have to use an extension cord to plug into the last switched outlet to have enough outlets in my main computer. I have a switched outlet strip with lots of outlets, but it takes up a lot of width. But this is still a very good value.